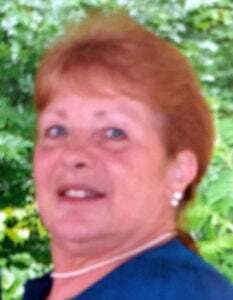 GLENS FALLS — Susan E. ‘Sue’ Frost, 64, of Glens Falls passed away at home, after a courageous battle with pancreatic cancer. Born on Jan. 2, 1955 in Glens Falls, she was the daughter of Royce and Joan Pixley. Sue spent the last 15 years “working” at Sully’s “East” Tavern, where she enjoyed serving local patrons, friends and family. Sue had a way of making everyone feel special, whether it be chilling their glass or knowing what candy they liked. Sue was employed by Bella Harrington, but she loved Bella as though she was family. Sue had a special friend who was an angel sent for above, who was there for her from the start of her battle with pancreatic cancer right to the very end. Sue was predeceased by her brother, Mark Pixley. Survivors include her husband, Ken Kissel of Glens Falls; one daughter, Rebecca Lounsbury and her husband of Queensbury; her grandchildren, Jon and Joe Hermey; her great-grandson, Owen Hermey; her siblings, Linda and Rick Casey of South Glens Falls and Michelle and Rich Arnold of South Glens Falls; and nephews, Rick and Chris Casey of South Glens Falls and Andrew Norman of South Glens Falls. At Sue’s request, there will be no calling hours. Services will be private. The family suggests that donations in Sue’s name be made to pancreatic cancer research.